Ever wanted to eat at that nice restaurant in Midtown but just couldn’t afford it? Well Concentrics Restaurant Group in Atlanta is making it easy for everyone to enjoy award-winning cuisine at reasonable prices. 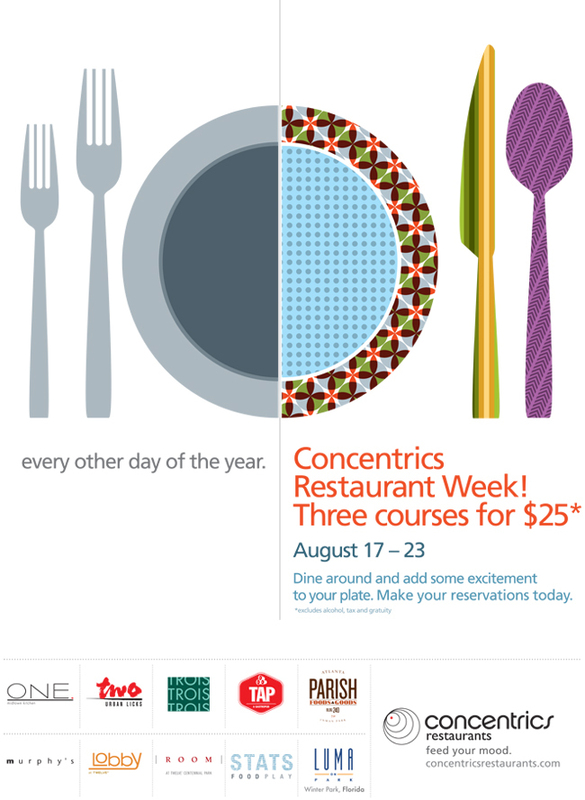 August 17th-23rd, you can visit one of ten upscale dining facilities for an unforgettable experience. Concentrics restaurants have been featured in some of the most notable publications in the US such as Oprah Magazine, The Wall Street Journal, and the New York times to name a few. For just $25 you can enjoy a three course meal from any of these fine restaurants: One: Urban Licks, Two: Midtown Kitchen, Trois, Tap, Parish, Murphy’s, Lobby at Twelve, Room, Stats, and Luma. Whether on radio, television, film or in magazine, Tangie A.K.A Tangible is always giving a blend of wit, news, and good ol’ southern flava to the streets with her multi-media trademark. Due to her forever love for the hip-hop culture, this longtime talent started grinding as a hip-hop artist at the age of 12. After several appearances on TV shows such as BET’s 106 & Park Freestyle Friday, In 2004 Tangie made a permanent step out on faith and relocated to Atlanta to pursue her dreams of becoming a Media Mogul. Often referred to, as the “Future Oprah” Tangie is now an Actress, recently completing work in several films and an On-air personality for The Peoples Station V-103, the #1 radio station in Atlanta. Bio includes being an author, currently writing her 1st book and CEO of several Entertainment entities. As a TV personality, she was America’s favorite finalist on BET’s new faces search in November 2005 and had several guest appearances on the Jenny Jones Show and MTV’s Say What Karaoke. Tangie is sure to win the hearts of listeners and viewers with her raspy unforgettable voice and exuding personality. Keep your ears and eyes open for this refreshing new sensation to bless you with a taste of Tangibility on your airwaves. She has BIG goals to accomplish such as launching her own non-profit organizations (I Feel Beautiful Foundation & S.H.O.O.K Foundation) to benefit the community in human services and much more. Every year Tangie does it BIG for her Annual Birthday Bash and this year it will not be any different. On Friday, August 8, Tangie is hosting her Star Studded “Road To Hollywood” Birthday Bash at Over da Edge (483 Edgewood Ave) in Atlanta, GA from 10pm – 3am. This event will feature performances by R & B Artist JC of Block Ent/Versa Style Ent and XL recently seen on The TODAY Show & Americas got Talent. Special invited guests include: Yung Joc & The Whole Swagg Team, Kollasus, Block and the Whole Block Ent., Sammie, Black 8 rap misses Porche, Yung Ralph, Shawty Lo, Fabo, CTE R&B Artist London, Bobby V, Sterling Simms (Def Jam), Will Packer (Rainforest Films), Dorian & Shavon from College Hill, Gorilla Zoe, Fabo, Princess (Crime Mob), B.O.B, Super Producer Adonis, DJ UNK, Jarvis of DTP, Brian & Brandon (Jagged Edge), DJ Infamous, DJ Jell, Jazze Pha, Chuck Wolley (formerly of the NY Giants), DJ Aries, Jody Breeze, Allen Rossum, Malcolm Cunningham Ford Staff, Chaka Zulu & The DTP Family, Darren Gray, Derek Blanks, Osei, Fly Ty, Young Dirty, Gyantt (SOHH.com), Freddyo, Necole Bitchie, Monica & MORE. Atlanta-based new wave/rap/ghettotech group Holly Weerd is allowing their fans from around the globe to download their mixtape, Edible Phat, for free from their MySpace page. In a search to bring back the essence of true Atlanta musicianship, Dreamer, The Love Crusader, Tuki and Stago Lee, collectively known as Hollyweerd lead you into a land where rejects and weirdos reign supreme. Joining the new hip-hop movement of internet phenomenons, Hollyweerd has garnered much attention from their ability to create innovative tunes for their eclectic fans online. Brought together by what some might consider divine intervention, these four individuals have a niche for creative lyrics and music that defies the norms of hip-hop. Through songs such as “Weerdo” and “Go Hard or Go Home”, Hollyweerd grants listeners a sample of the limitless state of mind they adhere to when it comes to not only the music scene, but life as well. Influenced by such genres as jazz, rap, techno, rock and alternative, the individualistic creativity that exists within Hollyweerd is undeniable. Self described as new wave, rap, ghetto tech music, their ground-breaking sound resides in unmarked musical territory sure to influence the music community and the world. Meeting in Atlanta, Hollyweerd was formed in mid-November 2007. Creating not only a group, but a brotherhood, Dreamer brings an unorthodox style while Tuki brings wordplay, The Love Crusader brings passion and Stago Lee brings southern sophistication, which culminates into a fresh breath of music with good vibes and funky melodies. Hollyweerd is creating their own rules in our land and a land where the rain is purple and the flowers are dead. Bringing about change transformation and a new breed of music to the south, Hollyweerd is the new southern comfort. 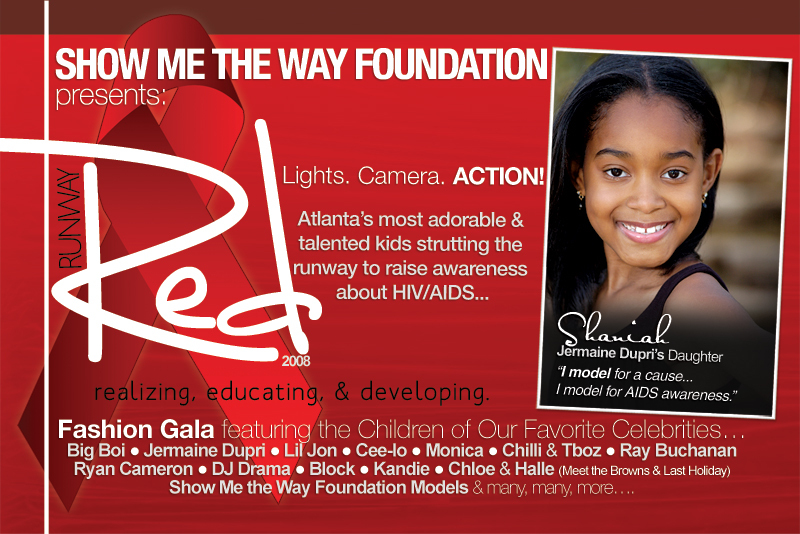 You are invited to join Jermaine Dupri, Chilli, Q, Cee Lo and many other influential corporate, civic and business leaders and celebrities for a magical evening all for a wonderful cause, the second annual Show Me the Way Foundation – Runway Red Celebrity Kids Fashion Show. VIP Tickets are as low as $30 a person or there are General Tickets priced as low as $15 per person, which avails you access to a vendor area for the famaily and a seat for this magical evening. A majority of your ticket sale is a tax write off. Proceeds will go to children infected with or effected by the AIDS/HIV Virus. Runway Red will take place at the Apparel Mart in the Penthouse of Building Three on Saturday, July 26 with doors opening at 6:00p. ATTENTION ALL MODELS: One of Atlanta’s premier clothing boutiques, Nani Sensorium is at it again! Nani is hosting a model call next Monday, 7-21-08 from 12p-3p at its sister location Nani salon and spa; both of which are located in upscale Atlantic Station. 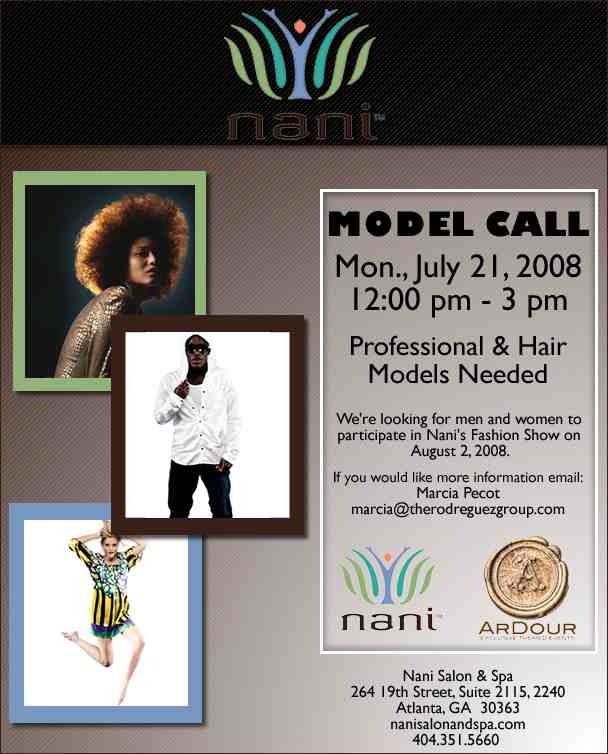 Nani is looking for professional and hair models both male and female to participate in their fashion show on 8-2-08. For all of you modles in the Atlanta area, last year’s show was a huge success, so this is definitely not the event you want to miss! Nani salon and spa and Nani boutique are owned by NBA star Shannon Anderson of the Miami Heat. 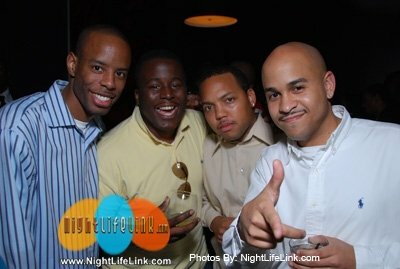 In August of 2007, history was made as the Atlanta Fashion Network presented the first annual Atlanta International Fashion Week with its benefits and big name designers that attracted Atlanta’s finest. This year, from July 23th through 27th, fashion will take center stage again for the second installment of the most highly anticipated fashion event of the year featuring international fashion moguls, celebrities, models, agents, press and buyers at downtown Atlanta’s prominent exposition center, the Georgia World Congress Center. In producing AIFW, the Atlanta Fashion Network plans to shape fashion and style by displaying what Atlanta has to offer in fashion to the world. Atlanta is known to be a chief influence and birthplace of numerous mainstream musicians and genres, however it is the goal of AIFW Director, Paula Whittle, to have Atlanta recognized as an emerging fashion capital. She says: “Atlanta is known as a music Mecca, but is now becoming a site for fashion stimulus, and can now play a major role in the fashion arena and gain international recognition. I want to bridge the two to create a powerful, innovative convergence.” With that, the Atlanta International Fashion Week welcomes international designers and models from various countries such as Africa, Argentina, Brazil, Puerto Rico, the United Kingdom, and the Virgin Islands. Atlanta International Fashion Week will offer innovative and informative workshops and fashion based curricula within Pretty Academy School of Fashion. Classes will be instructed by industry experts and AIFW Fashion Council such as Leo Marshall (Celebrity Photographer), Mychael Knight (Project Runway, Celebrity Designer), Sybil Pennix (Celebrity Stylist) and many more. In addition, AIFW will feature an exquisite and innovative trunk show, “Fashion Store” and premiere fashion runway shows. AIFW will feature catwalk favorites modeling fall’s hottest looks with showcases from famous lines such as Tboz’s Chase Closet, Ed Hardy, Rock & Republic, True Religion, Akademiks, Apple Bottoms, Enyce, Baby Phat, Phat Farm, Rocawear, and Young Jeezy’s 8732, plus many more. Some of the elaborate shows include Kouture Kids, Urbanstyle Fashion Affair, Exotica, Fantasy Island, Curvy Couture, PRIVE Fashion Affair, and Men of Style to cater to the style in everyone. Come to Atlanta to experience the convergence of the most powerful ideas and most powerful network. From Wednesday to Sunday, you’ll be immersed in actionable learning and profitable exchange. Atlanta International Fashion Week has teamed up with the fashion industry’s internationally renowned elite to afford aspiring designers and models the opportunity to network, learn, and enjoy the best that Atlanta has to offer in fashion, style, glamour, and nightlife at various acclaimed venues, night clubs and restaurants. This star-studded affair will be entertaining and designed to benefit local and national charities all in the name of fashion. Some of the many AIFW supporters and partners include Inside Fashion World Magazine, Mymodeltalk.com, DTLR, Elvie G Public Relations, Paul Mitchell School, John Robert Powers, JPat Records, Mallard Magazine, Dan Agency, La La Sincerely Inc, and many more. For more information on this epic event, visit www.AtlantaIntlFashionWeek.com or call 888.215.5141.